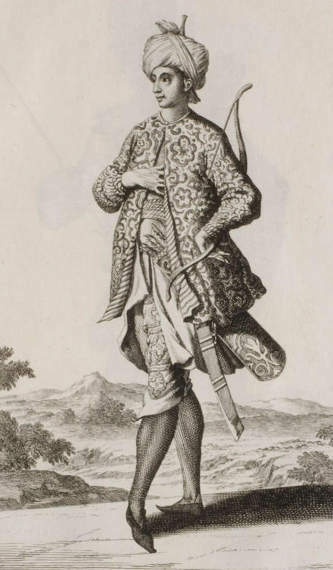 SOLDATO PERSIANO DEL REMA Ã PIEDI. Ein Persier Herr. 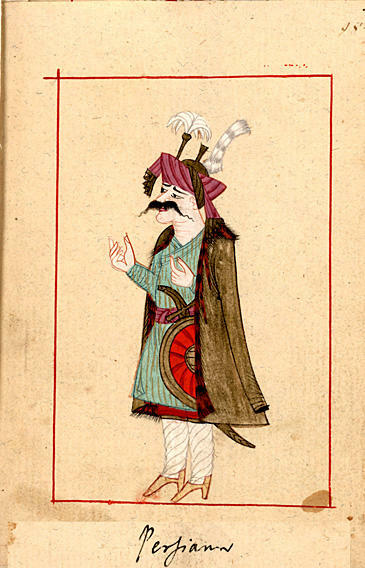 A Persian Soldier. 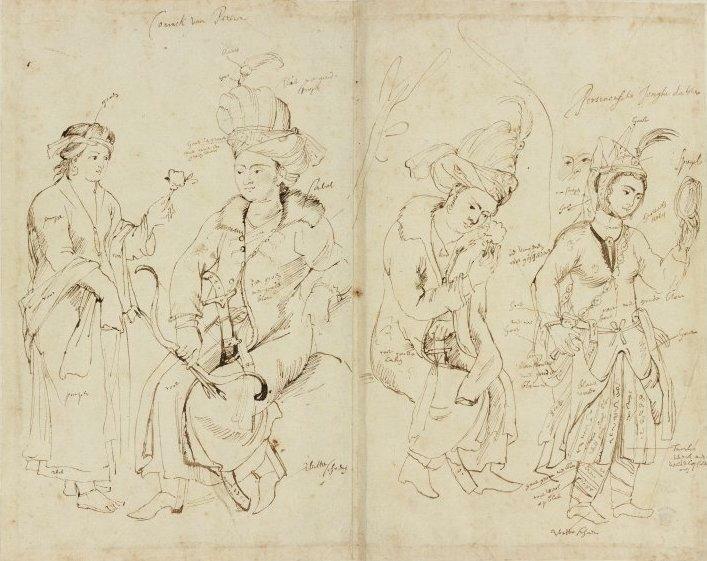 Persian Woman and Man The Habits of the Grand Signor's Court. 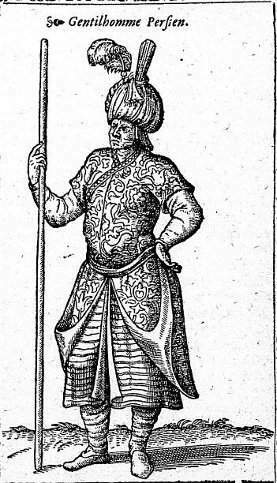 c1620. 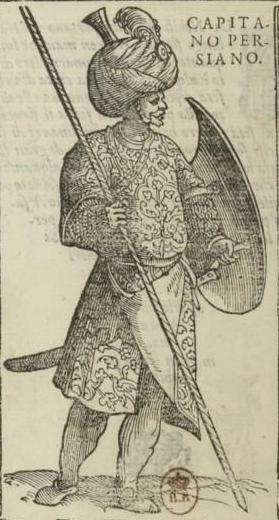 Folio 50v. 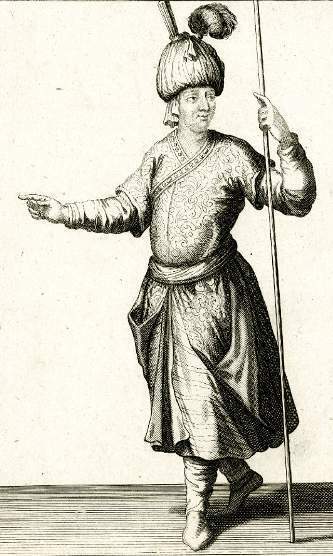 A Persian youth wearing a red cloak with fur lining, a loosely-wound Safavid turban with red taj (baton), silver robe with black cloud design, black trousers, white boots. 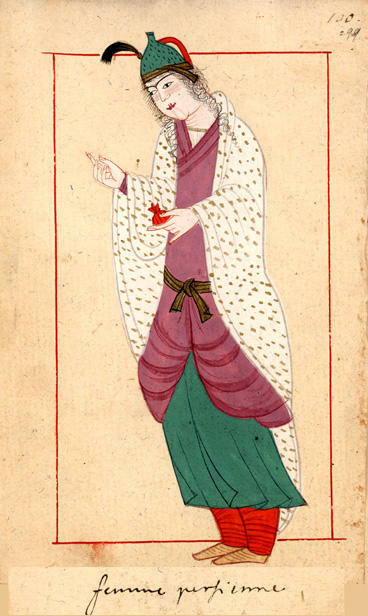 Folio 51v A Persian woman holding a pomegranate in her left hand. 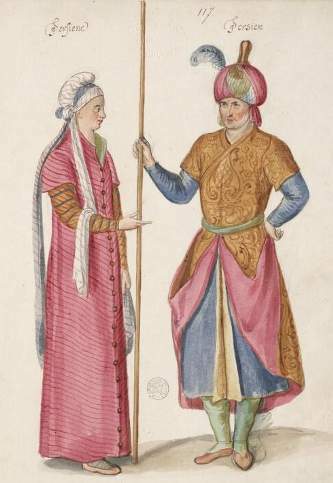 She wears a white shawl over a blue tunic, mauve girdle and mauve trousers. Her high headdress is pointed and has a white cloth extending from it. 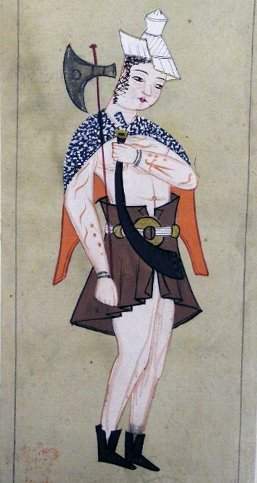 Folio 57v. 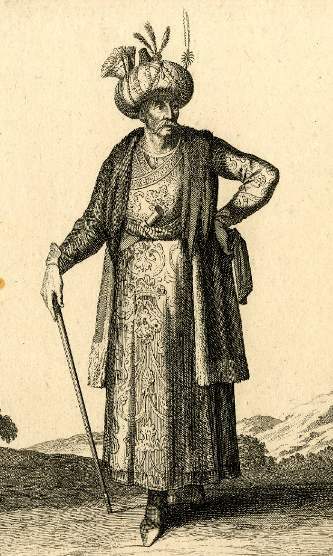 An Armenian youth 'out of Persia' who wears a pale blue kaftan open at front to a mauve tunic, red trousers, brown shoes, astrakhan hat, gold belt. 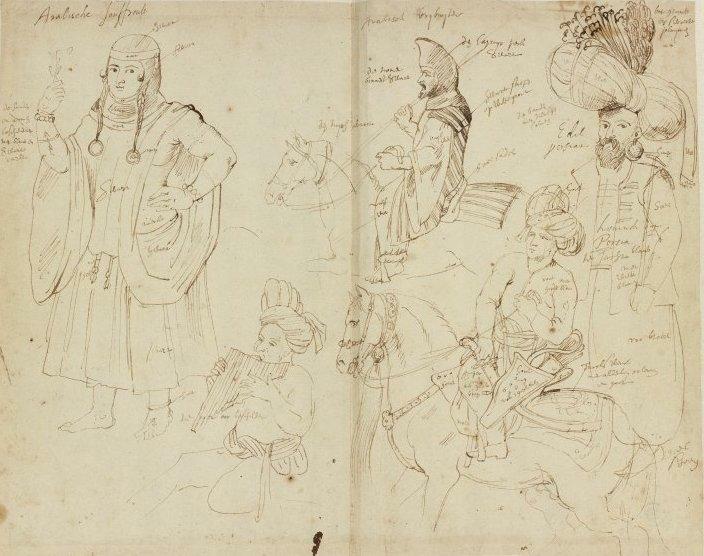 Rubens' Costume Book. British Museum. 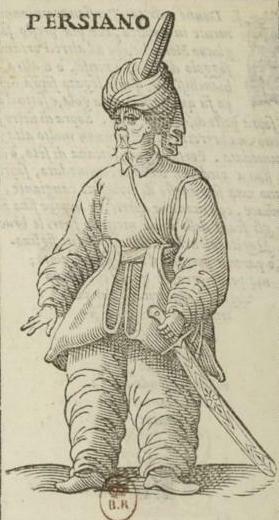 costume notes in Flemish, e.g. 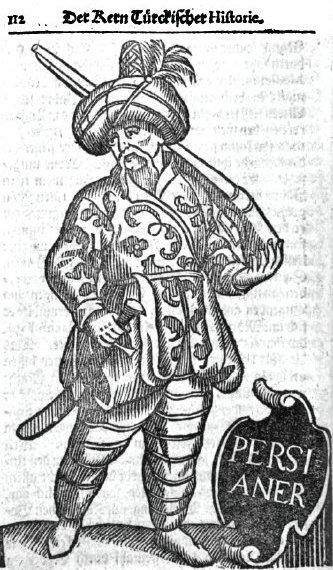 : "Coninck van Persien", "gout en groen met root en groen wase", "zee groen met goude blome", "sabel", "Persiaensche Jonghe dochter", "de vingeren root geschildert", "Turcks werkc met voederken", "spiegel". British Museum. 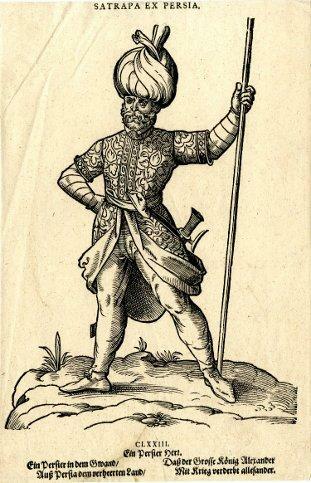 "Ein Persianischer Fürst" A Persian prince. Abraham a Sancta Clara's "Neu-eröffnete Welt-Galleria". Ein Persianischer Edelman. 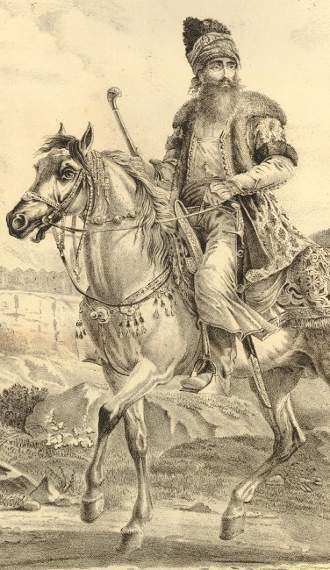 A Persian Nobleman.